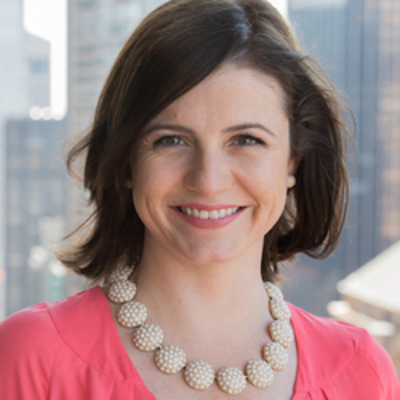 Allyson Downey is an entrepreneur, MBA, writer, and parent who has built a career on the power of trusted advice. In 2013, she launched weeSpring, a Techstars-backed startup that helps new and expecting parents collect advice from their friends about what they need for their baby. weeSpring has received accolades from TechCrunch, Mashable, CNBC, and the Daily Mail, and it was heralded as “Yelp for baby products” by InStyle magazine. She is also the author of Here’s the Plan: Your Practical, Tactical Guide to Advancing Your Career During Pregnancy and Parenthood (Seal Press, 2016). She’s written for publications like Time, Fast Company, and the Wall Street Journal about women, work, and family, and she’s been a speaker at NYU Stern, Columbia Business School, and Women 2.0. She has appeared on ABC World News Now, Power Pitch on CNBC, and other outlets. Allyson has an MBA from Columbia Business School, an MFA from Columbia University's School of the Arts, and a BA from Colby College. She serves on the board of Democracy Prep Public Schools, one of the country's top charter management organizations, and lives in Boulder with her husband and two children.